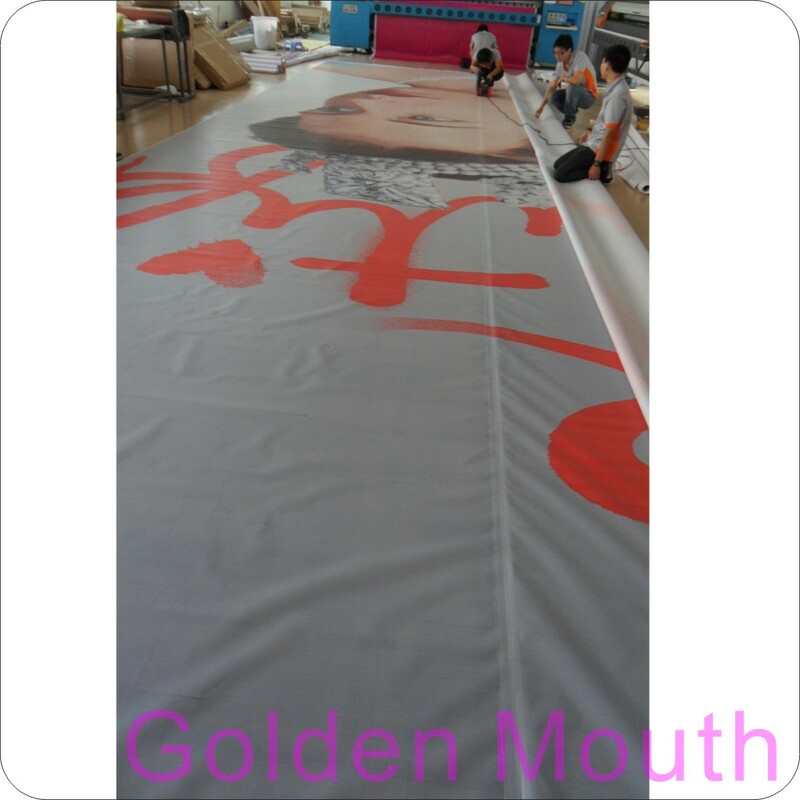 Product categories of Vinyl Banner, we are specialized manufacturers from China, Vinyl Banners, Flex Vinyl Banner suppliers/factory, wholesale high-quality products of Vinyl Backdrop Banner R & D and manufacturing, we have the perfect after-sales service and technical support. Look forward to your cooperation! Vinyl Banners are used outdoor & indoor , they are printed with large format inkjet printers with 1440 dpi ,the ink is waterproof and uv resistant . 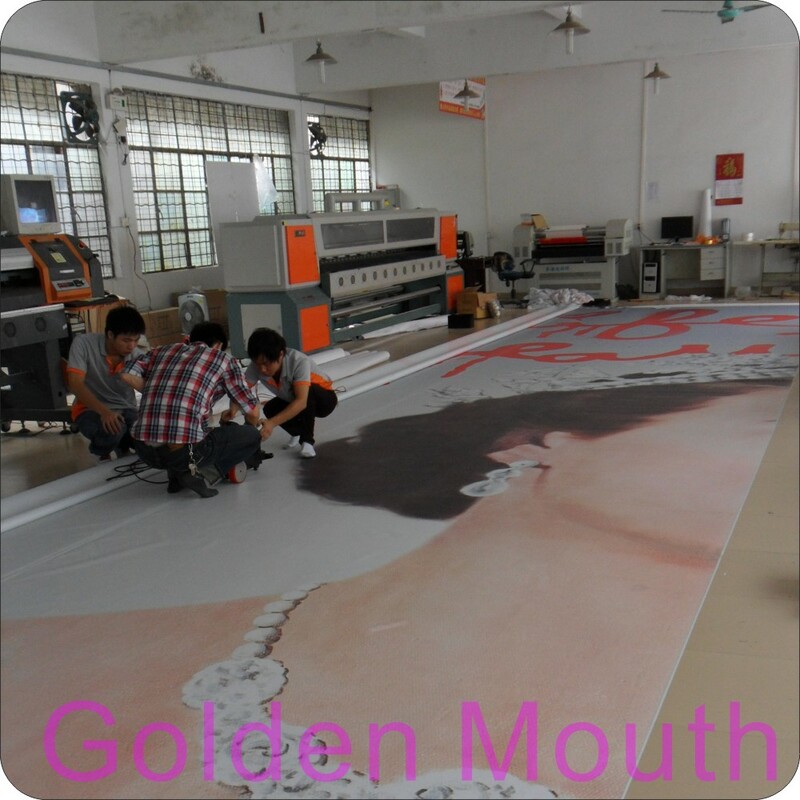 We also can provide uv printing on them.The width we can make is 500 cm (16.4 feet ) seamless . For very large size ,we will use our welding machine . For vinyl banners ,we have front – lit and back – lit , with glossy or matte finish ,compatible for eco - solvent , uv , and screen printing .Ideal for short or long term indoor or outdoor application ( banners ,billboard ) . Application : hanging banners , fence banners , wedding banners , road banners , street banners , billboard , light box graphic printing ect . Different thickness / grams material to choose : 280 g ( 8oz ) , 300g (9 oz ) , 340g (10 oz ) , 380 g (11 oz ) , 440g ( 13 oz ) etc .